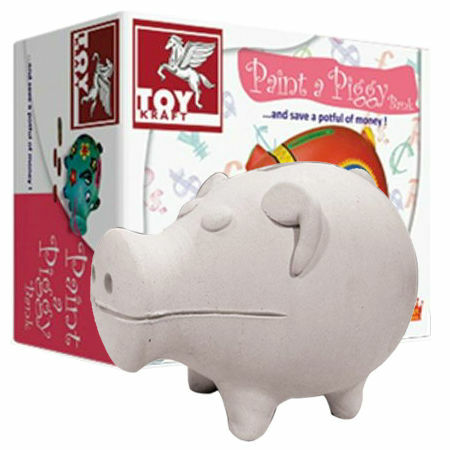 Craft Paint A Piggy Bank is a very cute terracotta pig which can be painted in whatever style you desire. Firstly paint with the acrylic base coat, leave to dry and then the colour fun begins as you design and paint your piggy. Then all you have to do is fill it with pocket money. We like this because: "Fun to make and who knows it may even help with saving..."
The entire process of purchasing and receiving my quality items was great.